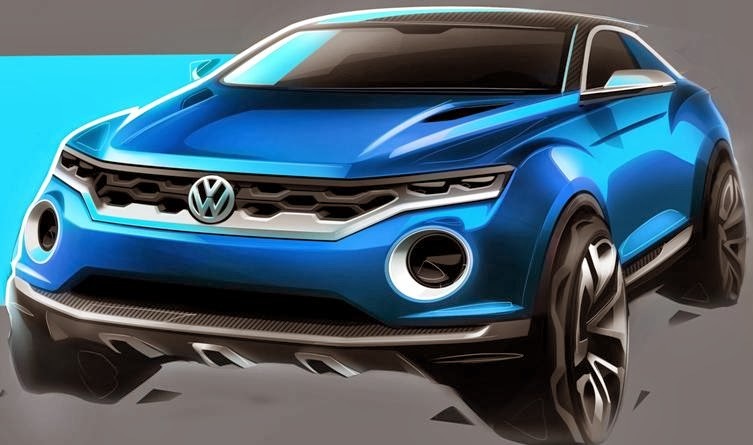 The Volkswagen T-ROC two-door SUV concept with removable roof halves, is one down from the Tiguan in the Golf format powered by a 181 horsepower turbodiesel engine mated to a 7-speed DSG transmission with three different operating modes: “Street”, “Offroad” and “Snow” for the 4MOTION permanent all-wheel drive system. More next week from Geneva. Consumer Reports 2014 Top Picks is an exceptional, well-­rounded vehicle, chosen from more than 260 that have been recently tested. They have excelled in testing, are reliable, and have performed well in independent crash tests. For more detailed information go to Consumer Reports website. The new third generation Audi TT will be making its world debut at the Geneva Auto Show in less than two weeks and 14 years after the TT model was first introduced. The seventh annual Desert Classic Concours d’Elegance celebrated 100 years of Maserati history, in conjunction with the Legends of Riverside and Riverside International Automotive Museum at the Desert Princess Country Club in the Coachella Valley. 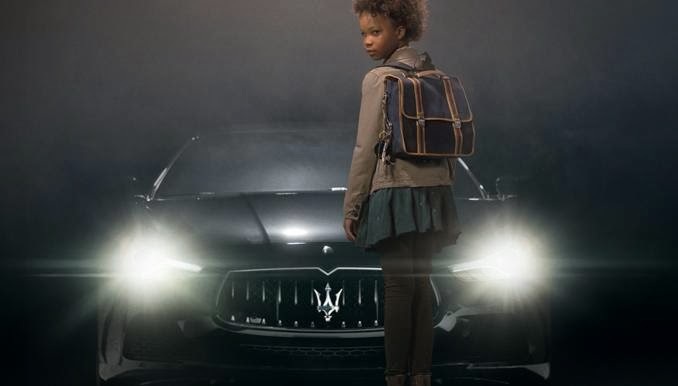 As we recently saw at the Los Angeles Auto Show and during the Super Bowl, Maserati is making a marketing push. The introduction of the more affordable Maserati Ghibli has already attracted increased interest in the brand. 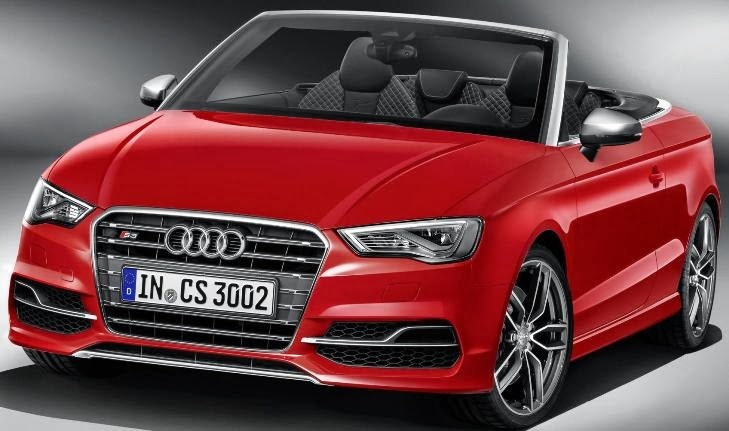 The Audi S3 Cabriolet four-seater convertible has a 300 horsepower turbocharged 2.0 TFSI engine mated to an S tronic transmission and quattro permanent all-wheel drive good for 33 mpg when it arrives in dealerships in Germany this summer starting at €48,500 euros or about $66,550 US dollars. 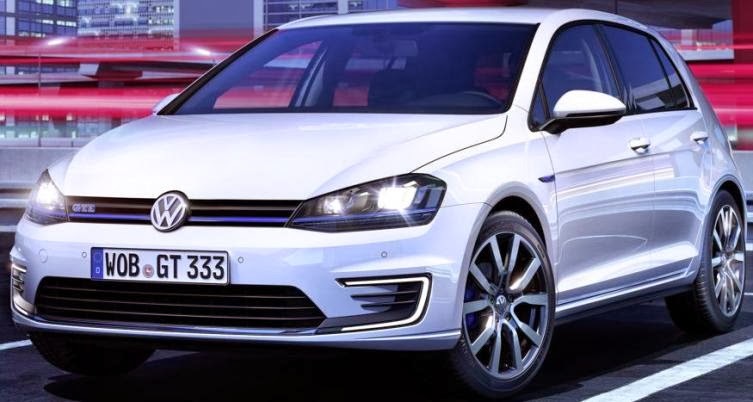 The new Golf GTE plug-in hybrid has a 148 horsepower 1.4-liter turbocharged, direct-injection TSI® engine and a 101 horsepower electric motor for a stated system power of 201 horsepower and a combined fuel economy rating of 157 mpg with an all-electric range of 31 miles along with an overall range of 584 miles. The GTE sprints from 0 to 62 mph in 7.6 seconds and achieves a top speed of 135 mph. The new front-wheel-drive BMW 2 Series Active Tourer with new three and four cylinder turbocharged engines, a package of BMW EfficientDynamics technology and BMW ConnectedDrive makes its debut at the Geneva Auto Show in a few weeks. The BMW 218i Active Tourer has 136 horsepower 1.5 liter three-cylinder engine mated to a six-speed manual transmission. The BMW 225i Active Tourer has a 231 horsepower four-cylinder engine. 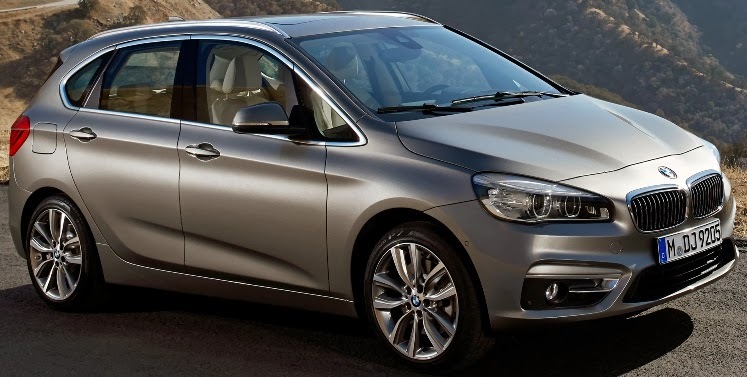 The BMW 218d Active Tourer has a 150 horsepower four-cylinder diesel engine. The new Volkswagen Scirocco and Scirocco R, 40 years after the model's first debut, will be shown in Geneva in two weeks and launched in Europe in August with six turbo direct injection four-cylinder engines which are up to 19 per cent more economical and ranging from 123 to 276 horsepower. Four are gas engines and two diesel with five having a Stop/Start system as well as a battery regeneration mode. The new Scirocco will be launched initially in Europe from the middle of August and shortly afterwards in other high-volume markets such as China, Argentina, Turkey, Australia, Russia and South Korea. The McLaren 650S, inspired by the McLaren P1 and available as a fixed roof Coupé or Spider with a retractable folding hard top, translates to 650 horsepower from a twin turbo V8 engine and the ‘S’ stands for ‘Sport’. The McLaren Airbrake deploys whenever the car senses extra downforce is advisable rather than simply under braking or when manually operated in ‘Aero’ mode. At 150 mph, downforce levels are increased by 24 percent. The McLaren 650S which joins the McLaren 12C and P1 supercars will be shown March 4th at the Geneva Auto Show and go on sale in the Spring. The 2015 Subaru WRX powered by a new 268-horsepower 2.0-liter direct injection turbo BOXER engine mated to a six-speed manual transmission or the Sport Lineartonic, a new, optional performance automatic transmission featuring two manual modes. The WRX starts at $27,090 and the WRX STI with a 305-horsepower 2.5-liter turbocharged BOXER engine maintains the previous model year pricing of $35,290. The WRX STI Limited with a six-speed manual transmission starts at $39,290 so the options it will run well above $40,000 out-the-door. Both vehicles arrive into dealerships this Spring. The Lamborghini Huracán powered by a 610-horsepower 5.2-litre normally-aspirated V10 engine accelerates from 0 to 62 mph in 3.2 seconds to a top speed of 202 miles per hour. In the midst of a month-long private preview tour worldwide for VIP clients, the Huracán already has 700 orders, almost a third of Lamborghini sales last year and that's even before its publicly revealed March 4th at the Geneva Auto Show. Price tag is around $250,000 when it hits the streets in the Spring. The J.D. Power 2014 U.S. Vehicle Dependability Study, for 2011 model vehicles over 3 years has Lexus on top for the 3rd year in a row. The study finds that overall vehicle dependability averages 133 PP100, a 6 percent increase in problems from 126 PP100 in 2013, the first time since the 1998 study that the average number of problems has increased. According to the study, engine and transmission problems increased by nearly 6 PP100 year over year, accounting for the majority of the overall 7 PP100 increase in reported problems, with 4-cylinder engines taking most of the complaints. The J.D. 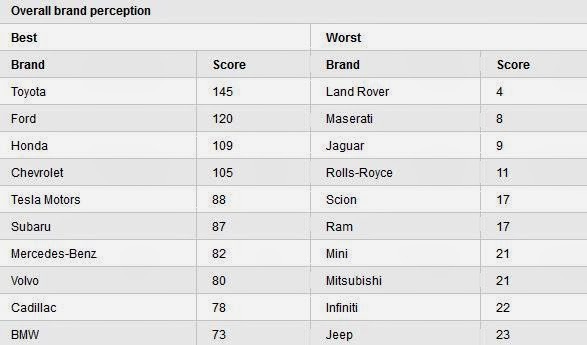 Power 2014 U.S. Avoider Study shows that consumers are much more likely to avoid vehicles from brands that rank lower in dependability. General Motors receives eight segment awards for the Buick Lucerne; Cadillac DTS (tie); Cadillac Escalade; Chevrolet Camaro; Chevrolet Volt; GMC Sierra HD; GMC Sierra LD; and GMC Yukon. Toyota gets seven awards for the Lexus ES; Lexus GS; Lexus LS (tie); Lexus RX; Scion xB; Toyota Camry; and Toyota Sienna. Honda has six model-level awards for the Acura RDX; Honda CR-V; Honda Crosstour; Honda Element; Honda Fit; and Honda Ridgeline. MINI receives one model-level award for the MINI Cooper. 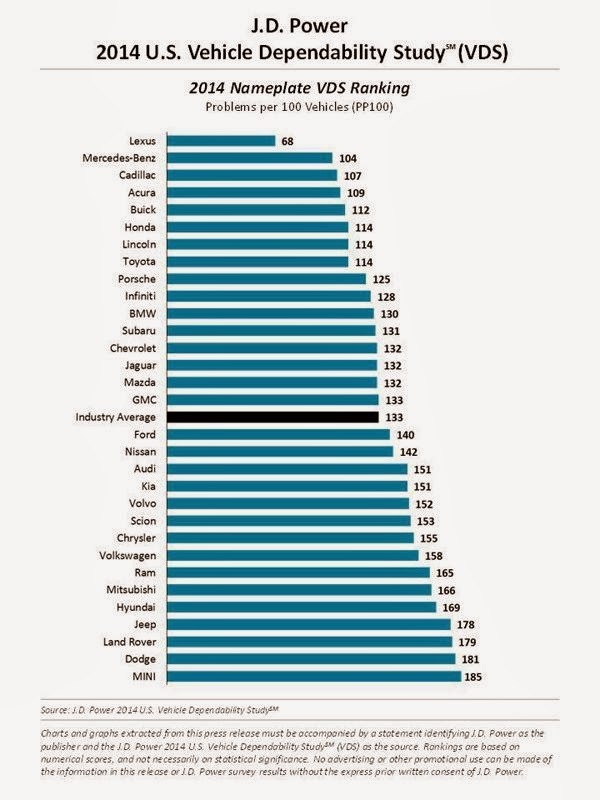 The 2014 Vehicle Dependability Study, fielded between October and December 2013, is based on responses from more than 41,000 original owners of 2011 model-year vehicles after three years of ownership. 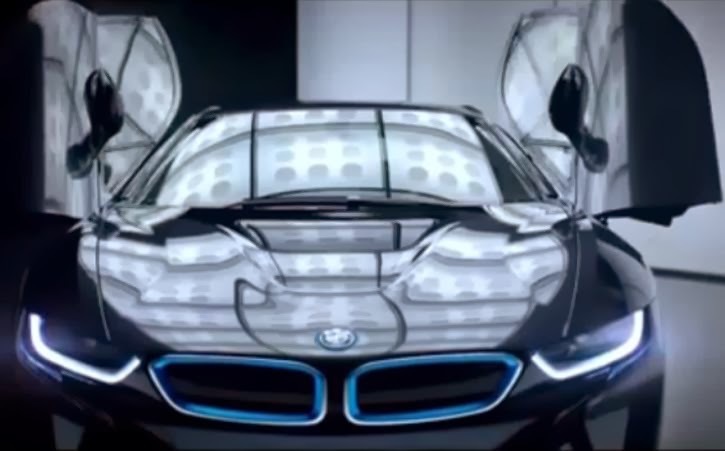 BMW officially launched its advertising campaign for the BMW i brand with the start of NBC's Sochi 2014 Olympic broadcast coverage featuring the BMW i8 plug-in hybrid, high-performance electric vehicle. "Hello Future" uses the words of Sir Arthur C. Clarke, inventor, futurist and co-author of the screenplay for the 1986 film 2001: A Space Odyssey, to offer the arrival of BMW i as proof that the future is as fantastic as he predicted. 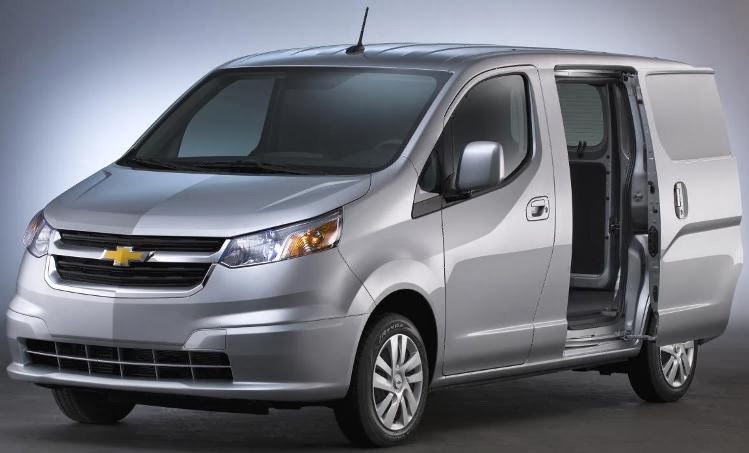 Chevrolet’s all-new 2015 City Express, based on the Nissan NV200, comes i LS and LT trims and a 131 horsepower dual overhead cam 2.0L inline-four cylinder engine mated to a continuously variable transmission driving the front wheels, offers 122.7 cubic feet of customizable cargo space, a tight turning diameter of only 36.7 feet and an estimated payload capacity of 1,500 pounds. There’s 6’10” of room from the rear doors to the back of the front seats and with the passenger seat folded, the length grows to 9’8”. A Technology package available on LT models includes a 5.8-inch diagonal touch screen, navigation, Sirius/XM Satellite Radio with a three-month trial period, Bluetooth phone connectivity, a USB input and a rearview camera system. The City Express goes on sale this Fall. The all-new 2015 Subaru Legacy has nearly the same exterior footprint as the previous Legacy but with a roomier passenger cabin and a choice of a 175 horsepower double-overhead-cam FB series 4-cylinder 2.5-liter BOXER engine and a 256 horsepower 3.6-liter 6-cylinder BOXER engine. Both engines are mated to a Lineartronic CVT (continuously variable transmission) and Symmetrical All-Wheel Drive. The 2015 Legacy 2.5i has estimated ratings of 26 mpg city / 36 mpg highway / 30 mpg combined, and the 6-cylinder model has estimated ratings of 20 mpg city / 28 mpg highway / 23 combined. The 4-cylinder 2.5i model is available in Standard, Premium and Limited trim lines, accompanied by the top-of-line 6-cylinder 3.6R Limited. A new rear radar system, which is standard on the 2015 Legacy 2.5i Limited and 3.6R Limited and available for the 2.5i Premium, introduces the brand’s next step toward full-perimeter preventive safety. The rear radar system offersBlind Spot Detection, Lane Change Assist and Rear Cross Traffic Alert. The EyeSight® driver-assist system option for Premium and Limited trim models, integrates Adaptive Cruise Control, Pre-Collision Braking and Vehicle Lane Departure Warning. EyeSight, which uses Subaru-developed stereo camera technology. The new 2015 Legacy arrives in Subaru dealerships this Summer. 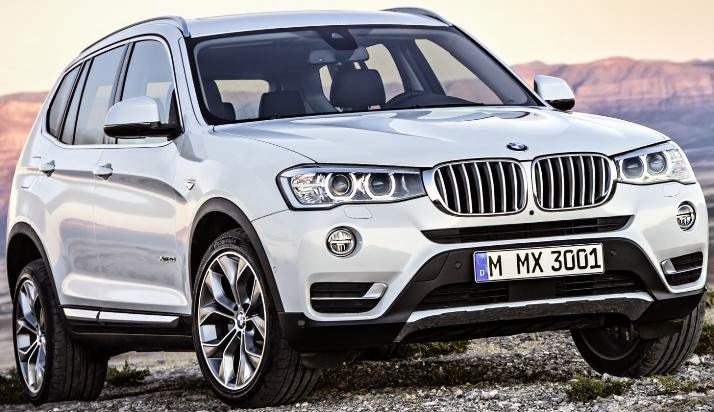 The 2015 BMW X3 Sports Activity Vehicle®, the third generation X3, will offer a rear-wheel drive BMW X3 sDrive28i for the US market with a starting price of $39,325 and an Advanced Diesel X3 xDrive28d with a 180 horsepower 2.0-liter TwinPower Turbo diesel 4-cylinder engine mated to an 8-speed automatic transmission starting at $42,825. The X3 xDrive28i (with BMW xDrive intelligent all-wheel drive) has a 240 horsepower 2.0-liter TwinPower Turbo gasoline engine will have an MSRP of $40,725, while the top-of-the-line X3 xDrive35i with a 300 horsepower 3.0-liter six-cylinder in-line engine will have an MSRP of $45,825 (All prices include $925 Destination & Handling fee). On the new BMW X3, a Sport Automatic transmission option with shift paddles is also available in conjunction with M Sport. The new BMW X3 will go on sale this Spring. The Nissan Frontier Diesel Runner, based on the Frontier Desert Runner 4x2 model, will have a nearly 200 horsepower 2.8-liter 4-cylinder diesel engine. It arrives six months after the announcement of a partnership with Cummins to provide a 5.0-liter turbo diesel V8 in the next-generation Titan full-size pickup, which will arrive in calendar year 2015. The 2014 Kia Optima Hybrid mid-size sedan, available in LX and EX trims, has a 47 horsepower electric traction motor, a Hybrid Starter Generator and a 47 kW lithium polymer battery with a combined gas-electric 199 horsepower rating and combined 235 lb.-ft. of torque giving the LX model an EPA estimated 36 mpg city, 40 mpg highway and 38 mpg combined and the the EX model an EPA estimated 35/39/37. 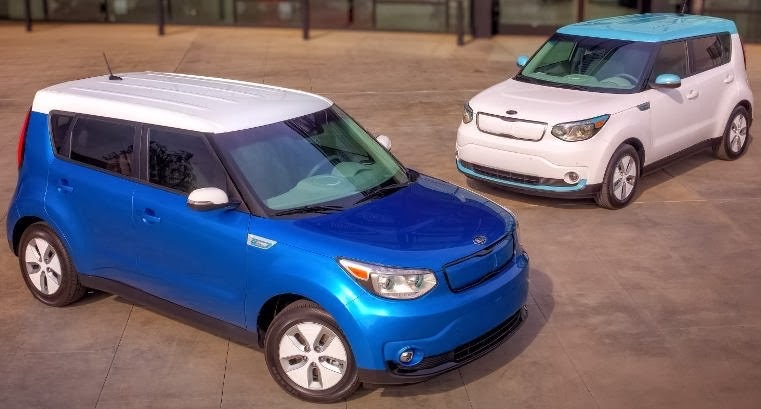 The 2015 Kia Soul EV, scheduled to go on sale in the third quarter of 2014, utilizing a highly energy-dense 27kWh, air-cooled, 200 watt-hour/kg 360 volt 96-cell lithium-ion polymer battery is expected to yield a range of approximately 80-100 miles of real-world driving on a full charge, with internal testing and evaluation results exceeding 100 miles in some instances. Recharging times vary from 24 hours for a fully depleted battery using a standard 120-volt outlet and under five hours when plugged into a 240-volt outlet. An 80-percent charge can be achieved in as little as 33 minutes with a 50 kW-output charger. The Soul EV, Kia’s first all-electric, zero-emissions car sold in the U.S., will initially be sold in California and Oregon in the West and several Eastern states including New York, New Jersey and Maryland, the regions with the largest EV markets and infrastructure. Consumer Reports survey ranks the seven key factors by how important they are to consumers when buying a new car. The percentage is based on the number of respondents who said the factor was among their top three priorities: Quality (90%), Safety (88%), Performance (83%), Value (82%), Fuel economy (81%), Design/Style (70%), and Technology/Innovation (68%). The Consumer Reports National Research Center conducted a random, nationwide telephone survey of 1,578 adults from Dec. 6-15, 2013, and collected survey data from 1,764 adults in households that had at least one car. 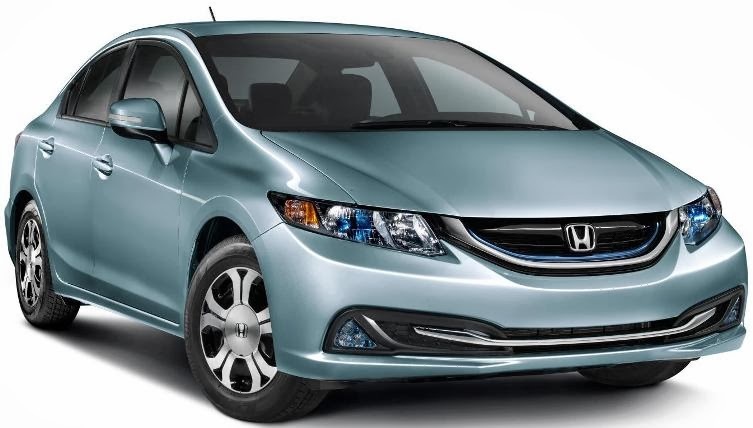 The 2014 Honda Civic Hybrid with an EPA rating of 44/47/45 city/highway/combined starts at $25,425 (including $790 destination charge) and the 2014 Civic Natural Gas with a combined EPA rating of 31 mpg on a gas equivalent basis starts at $27,430 when they go on sale tomorrow. The new Civics have a new Display Audio with 7-inch touchscreen that allows users to pinch, swipe and tap just like a smartphone to access audio, phonebook, media, vehicle information and available navigation features. The touchscreen display is also the interface for the next-generation HondaLink™, an application-based platform that allows a seamless integration between a user's smartphone and the car, providing access to online and cloud-based content and information both inside and outside the car. Standard on both models is the Expanded View Driver's Mirror that, together with the available LaneWatch™ display. Also, Smart Entry with Push Button Start comes standard on the Civic Hybrid, allowing for entry and engine starting without turning an ignition key. Nearly Double, the Ford Super Bowl commercial with Rob Riggle and James Franco was about the car, the Ford Fusion Hybrid, and about it's top feature, miles per gallon that are double the average vehicle. My friends who own the Fusion Hybrid, love to brag about the great mileage and the value of the vehicle. The new 2015 BMW 4 Series Gran Coupe with four doors has the same length, width, wheelbase and track with the two-door version while the roofline is 4.4 inches longer sloping to the rear of the vehicle. 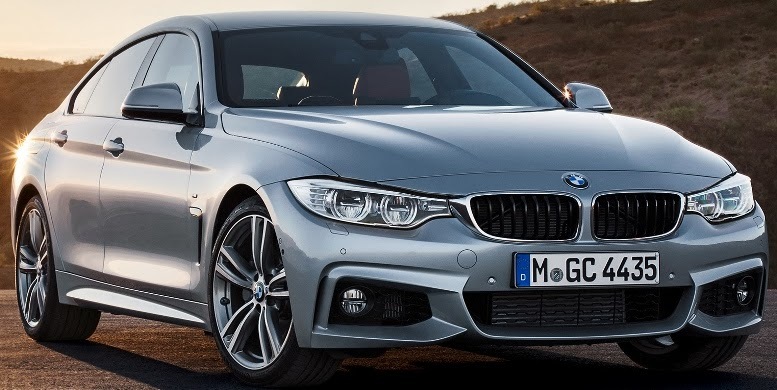 The new 2015 BMW 4 Series Gran Coupe comes with with the 240 horsepower 2.0-liter four-cylinder in the BMW 428i Gran Coupe starting at $41,225 and the 300 horsepower 3.0-liter inline six-cylinder engine in the BMW 435i Gran Coupe starting at $43,225 with both mated to the standard eight-speed sport Steptronic transmission and featuring the Auto Start Stop function. At model launch, the BMW 428i Gran Coupe can be optionally equipped with BMW xDrive intelligent all-wheel drive technology and the top-of-the-line 435i Gran Coupe priced at $46,725. Official U.S. EPA numbers are not available yet but the 428i Gran Coupe expected to be 23 mpg city/35 mpg highway/27 mpg combined, similar to 428i Coupe and the 435i Gran Coupe could come in at 23 mpg city/35 mpg highway/27 mpg combined, in line with the 435i Coupe. General Motors delivered 171,486 vehicles in the United States in January 2014, down 12 percent from last year. Ford Motor Company January sales of 154,644 total vehicles are down 7 percent from a year ago, while retail sales of 113,721 vehicles are off 5 percent. Toyota Motor Sales, U.S.A. reported January 2014 sales results of 146,365, a decrease of 7.2 percent from January 2013. Toyota division posted January 2014 sales of 128,728, down 9 percent while Lexus reported January sales of 17,637, up 8.8 percent over 2013. Chrysler reported U.S. sales of 127,183, an 8 percent increase compared with sales in January 2013 and the group’s best January sales since 2008. American Honda reported January 2014 Honda and Acura vehicle sales of 91,631, a decrease of 2.1 percent vs. the same period last year amid record cold weather that affected industry sales in many parts of the U.S. The Honda Division recorded sales of 80,808, while the Acura Division sales of 10,823 for the month was up up 14.1 percent from a year ago. 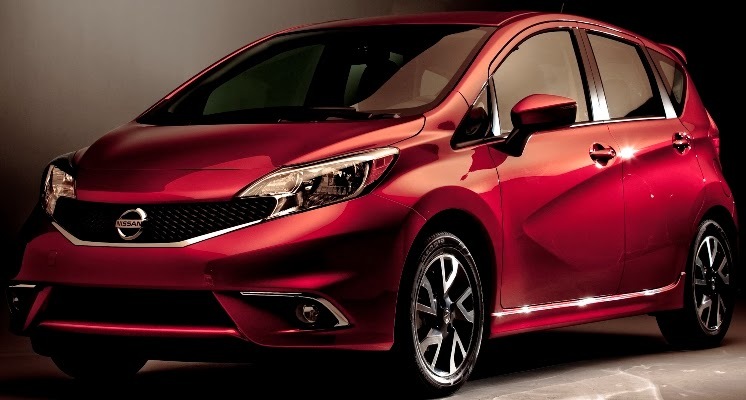 Nissan announced total U.S. sales for January 2014 of 90,470, an increase of 11.8 percent compared to last year. Hyundai Motor America reported its best January in company history, selling 44,005 for the month, up less than one percent versus the same period last year. Kia Motors America reported record January sales of 37,011 vehicles up 2 percent from January 2013. Subaru of America announced record January sales of 33,000 vehicles, a 19 percent increase over January 2013. Volkswagen of America reported sales of 23,494 in January, a 19 percent decline from 2013. Separately, Audi reported January 2014 sales of 10,101 vehicles, a 0.4 percent increase over the previous January record set last year. Mercedes-Benz USA reported the highest January retail volumes in its history with sales of 24,413 across the Mercedes-Benz, Sprinter and smart model lines, a 1.5 percent increase from the same month last year. The Mercedes-Benz brand alone achieved its best-ever January with sales of 22,604. Gains were made across the MBUSA brand portfolio as Sprinter Vans advanced 19.6 percent to 1,288 and smart increased 8.3 percent to 521. The BMW Group in the U.S. (BMW and MINI combined) reported January sales of 20,796 vehicles, an increase of 3 percent from the same month a year ago. Mazda North American Operations reported January U.S. sales of 18,813 vehicles, representing a decrease of 11.8 percent versus last year. Mitsubishi Motors North America reported January sales of 4,867, up 4.5 percent compared to January 2013. Volvo Cars of North America reported U.S. sales of 3,792. Porsche Cars North America announced January 2014 sales of 3,096 vehicles, eight percent below a strong January 2013 when 3,358 units were sold. Fiat Chrysler's third Super Bowl commercial, the two-minute “America’s Import” for the all-new 2015 Chrysler 200 came late in the 3rd quarter after the Seattle Seahawks scored a touchdown making it 36-0. 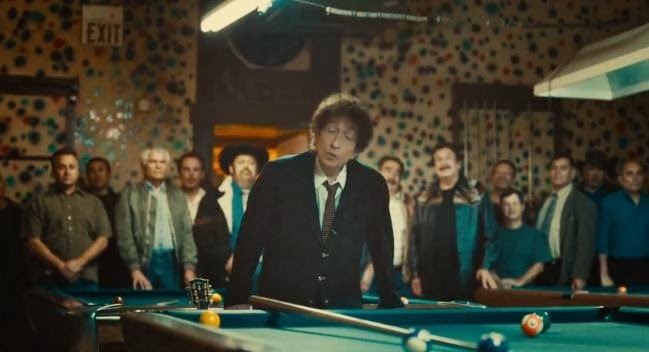 It has legendary American musician/singer/songwriter Bob Dylan narrating. Jeep Super Bowl halftime show commercial, Restlessness, features the all-new Jeep Cherokee with a standard 9-speed automatic transmission that delivers up to 31 mpg hwy. It is an IIHS Top Safety Pick with available advanced safety features like blind spot detection. It was one of three from Fiat Chrysler Automobiles. Maserati Ghibli, starting at $66,900, featured in a 90 second first quarter Super Bowl commercial, is one of three from Fiat Chrysler Automobiles and the first ever television commercial by Maserati, We have prepared. Now we strike. 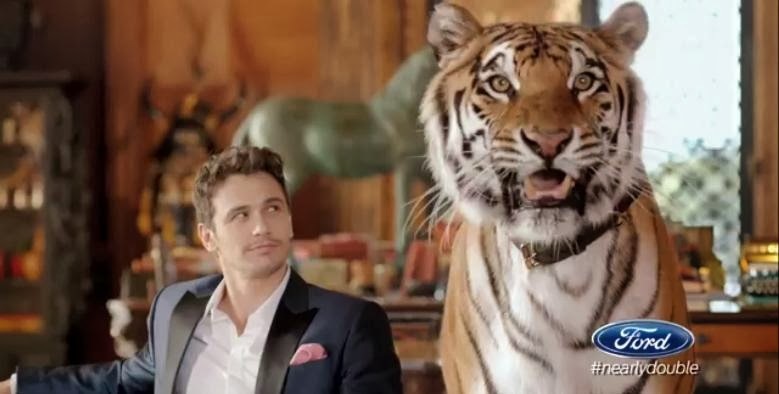 Ford Motor Company apparently will have Super Bowl commercials with actor James Franco and a tiger based on the teaser spot, Nearly Double. 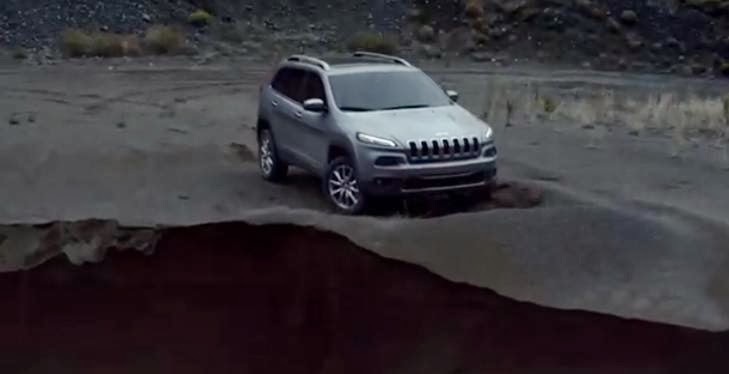 Fiat Chrysler Automobiles, as the company is now called, will have three commercials but there hasn't been any pre-release like many of the other car companies. The first commercial will be in the first break in the first quarter, the second during halftime and another in the last break of the third quarter. One thing is for sure, animals dominate the car commercial content with cows, dogs, tigers and muppets. The 2014 Dodge Journey Crossroad, positioned between the SXT and Limited models in the Journey lineup, is powered by a standard 173 horsepower 2.4-liter 16-valve DOHC four-cylinder engine linked to a four-speed automatic transmission delivering 26 miles per gallon on the highway. Also available is the 283 horsepower 3.6-liter Pentastar V-6 engine mated to a six-speed automatic transmission delivering up to 25 mpg on the highway. The Dodge Journey Crossroad also comes standard with an 8.4-inch Uconnect touchscreen, power front seat and a front passenger fold-flat seat with hidden storage bin under the seat cushion. Second- and third-row seats fold flat to create 67.6 cu. ft. of cargo space.